Angles is one of the elements of geometry. It doesn’t only exist in the math world but it was created with a purpose. 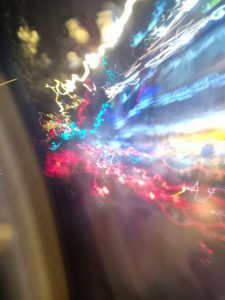 Before reading all of these post, considered you have ten seconds to think about why angle exist and what the point of learning it for the real world. Angles have different name considered of how many degrees it turns. There are varieties of types listed in the textbook such as acute, right, obtuse, straight, reflex and more. But what is the point of learning it to really apply to our real world? 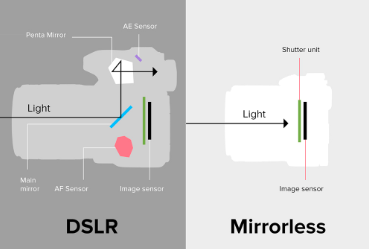 If you are a photographer, you should know that there are different angles for taking a photo. If you don’t know or never learned angle it isn’t easy to take the photo without knowing where is the angle you want to take. When you learned and understand clearly about every type of angle, taking a photo in the angle you wanted to wouldn’t be hard at all. 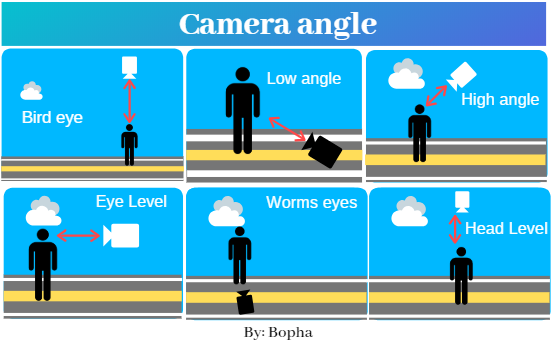 For filming, in the movie or video it must have different angle shot to put together with details without angle it will mess up around. With different angles in a video, it can make the video more interesting for the audience to watch. If you are an engineer, geometry is very important to many factors to make your project better. Furthermore, an angle can be a very important element for those too. 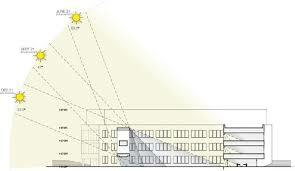 Due to the fact that the engineer must think about the angle that the building is facing and the sun. 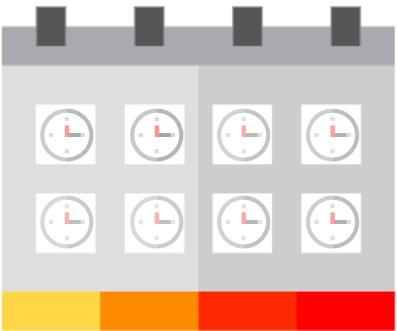 The right balance of sunlight and daylight in a building is crucial to people’s wellbeing. If an engineer doesn’t consider it properly, the building might end up to be overheated. For people’s health, they also really want to stay in place with natural sunlight to work better. When you’re playing golf, what you have to know is the angled wrist. In order to swing to the path, it needs to have the position and the right angle throughout the swing. You need to learn the skill of putting the right angle of your wrist to swing it into the right hole. Imagine you could know where is the international space station located. It might be very fascinating and amazing to access to all of those data. Thanks to Nasa, they have those data display publicly on the internet. Those data include where is the Nasa space station located in real time and it can also tell us when it will cross over some places using longitude and latitude. In Multimedia and Technology round 4, It was a fascinating lesson learning about different project and challenge about python from code club website. We apply our knowledge about for loop, while loop, list, dictionary and more by doing varieties of challenge give from code club. We complete those challenge and run it in a website called Trinket, which is code canvas. One of the last projects I did was Where is the Space Station? Python challenge. What I’ve learned from this project is the Nasa provide a free source of where the international space located and when will it cross over any places in a web. It is also amazing that it was created in a programming dictionary form and you can access the value by using the key value name such as longitude and latitude. The information updates every second that the international space station move. This is the final project Where is the ISS? You can also try many other projects in code club and try to do all the challenges in each of the project you choose. Python is considered to be one of the easiest programming languages among others but the word easiest doesn’t define it as easy. It can be described as more direct words and less syntax compare to other programming languages. 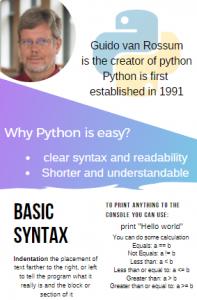 In the first week of the third round in Technology and Multimedia essentials, We learn about basic python such as syntax white space, variable, operation, if, else, if, while loop, for loop, etc. I created a poster to summarize and the slide presentation by our teacher to teach us in our class. To me, a name is one meaningful word or words given by our parent or relative to define us all as a person for every single day. When I woke up from my bed soft as a cloud, the first word I would hear before anyone starts the sentence it is always my name. When I shared my story or met new people in my life I’ve never forgotten to introduce my name first. For all these days after I was named in a young age, I would hear this sweetest word the most. I hold dear for my precious name. 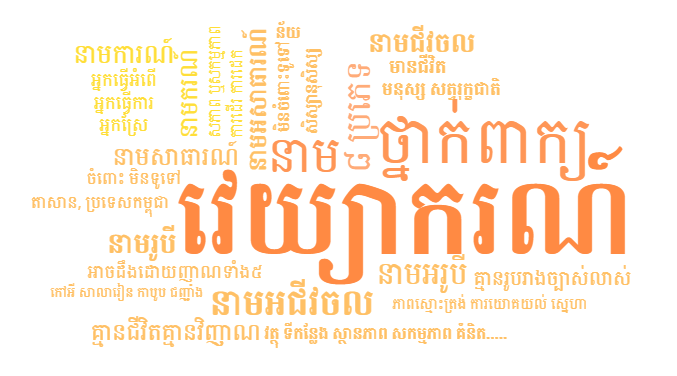 My name is Bopha which means flower in Khmer language. Tons of the type of flowers bloom and fade just as my mood or luck that changes. The smell and shade of color in each flower show me there is always potential in me but not everyone could see it. Even some people hurt me by cutting the root of flower but none of them can cut spring from coming to let me have the chance to shine again. Another meaning can be the metaphor of the word beautiful or good ladies. Despite all of the deep meaning hidden inside, not everything about my first name is perfect. Most of the foreigner always pronounce my name wrong which made me kind of sad for telling people your name and they can forget it easily. Sometimes I laugh a little bit not to make myself too negative when they say it. With all of the effort to control my emotion, I am now getting used to it. One funny moment sometimes I felt like watching comedy is when I listen to Khmer song. Some of those songs contain my name represent beautiful lady that makes it seems like I am the main lady in the songs. I love my name as the most adorable treasure I own. Unfortunately, I love my middle name more. “I did ask u when you were young and you choose Bopha over Morokot. I was afraid that you don’t like the name and I wait for you to grow but your name right now is just what you choose ” My mom would say whenever I said I kind of want to change my first name to my middle name instead. My middle name means a green gem which can bring light to all the darkness around it. It is rare and unique in its own way. The value and green light added the taste of delightful path for me. It shows me that before I can shine to be bright as that type of gem I needed to put thousand of effort and processes. My grandparent chose the name for me. My grandfather wanted my name to be “Bopha” while my grandmother wanted my name to be “Morokot”. My mother didn’t put it in my birth certificate until I was one and a half. After I grew up and become teenage I think that I am very attached to my name. 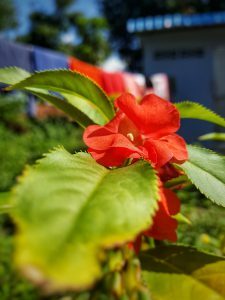 Even though, when I compare my middle name and my first name people usually say that my Morokot middle name is better but I would still prefer to be a flower that pushes through dirt to be a positive and delightful person. My heart, my personality, my life is already attached to my name for a long way with so many great memories I could remember. Now, I don’t want to change my name anymore but I would still prefer to have the long name with my gemstone middle name MOROKOT!. Math is known to be one of the most important subjects in the world. It can involve or relate to our world and our life in different ways. Fraction as a part of this important subject is also crucial for our daily life. Without examples, you may still wonder or want to more so I have come up with some examples. Imagine you are going to your grocery store with 200$. 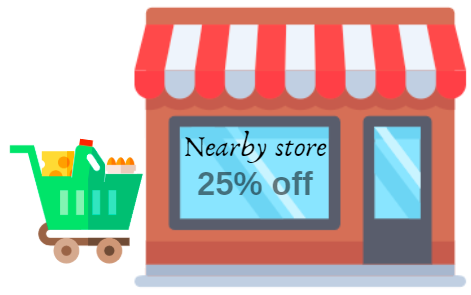 Due to your luck or special celebration, the store makes a special discount with 25 percent off the price in your spending. You may need to think of how much would you have to spend with the discount using a fraction. It’s your friend’s birthday party and you would want to try and bake a beautiful cake to make that day even more beautiful. Can you picture wouldn’t it be bad without measuring your ingredients to bake the precious cake? 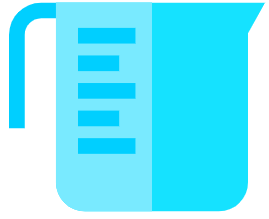 Using fraction you will know how much of an ingredient you might need in a cup or spoon. After measuring and leave your cake in one of those baking stoves the decorations are ready for the birthday party. Time is important in every single person’s life. With studying, working, family trip, hanging out with a friend or your own time you should manage your time wisely with a daily schedule. In the absence of fraction, it wouldn’t be as organized. Now let’s get make the schedule for your homework on weekend. From 6 o’clock to 7 o’clock half of ½ the hour you will spend on finishing your math homework. Another quarter of an hour which is from 6:30 to 7:30 you will spend on your computer science assignment. ½ of an hour or quarter of an hour using this method which is exactly fraction help you to organize and divide your time into section wisely. Imagine you want to compare the number of girls and boys in your math class. Example The students who are girls is 88 students and the boys are 80 students. When you write in ratio it should be 88:80. The reading form is 88 to 80. It could be simplified to 11 : 10. 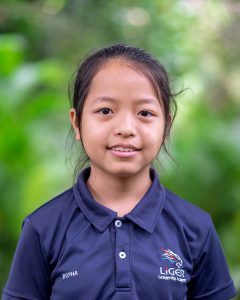 By using ration and simplified the number ratio play a really useful way of comparing the number of girl and boys students in the class to see the difference quickly. It is also similar to the fraction with the way we simplified them. 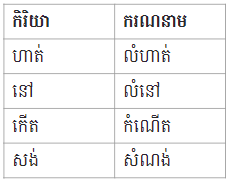 The order of the ratio given in the exercise or form in words is also very important. 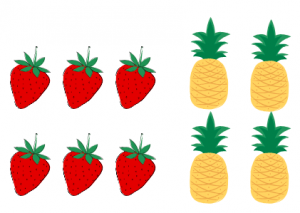 Example: Find the ratio of pineapple to strawberry. As you can see in the picture there are 6 strawberries and 4 pineapples. The correct answer would be 4 : 6 because the exercise or problem are asking you to arrange the ratio of pineapple to strawberry. “Each detail in a photo are captured to observe” this is my personal quote. Photography is one of my beloved subject in art. When I learn and explore more about photography it changes the way I look at the beauty of the world. Even I see a light bulb, sunset, mountain, birds, flower, leaf, those thing made me want to bring up a camera and captured a photo to see it again in the future. In my opinion, photography is like a reversal moment to look back at after taking step forward. I am also thankful to my school for having new essential which is Technology and Multimedia. In this round, We are focusing on multimedia and one of the course is photography basics. 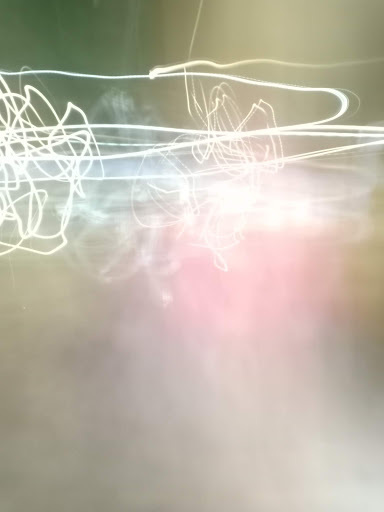 Exposure is the amount of light reaching the camera sensor. 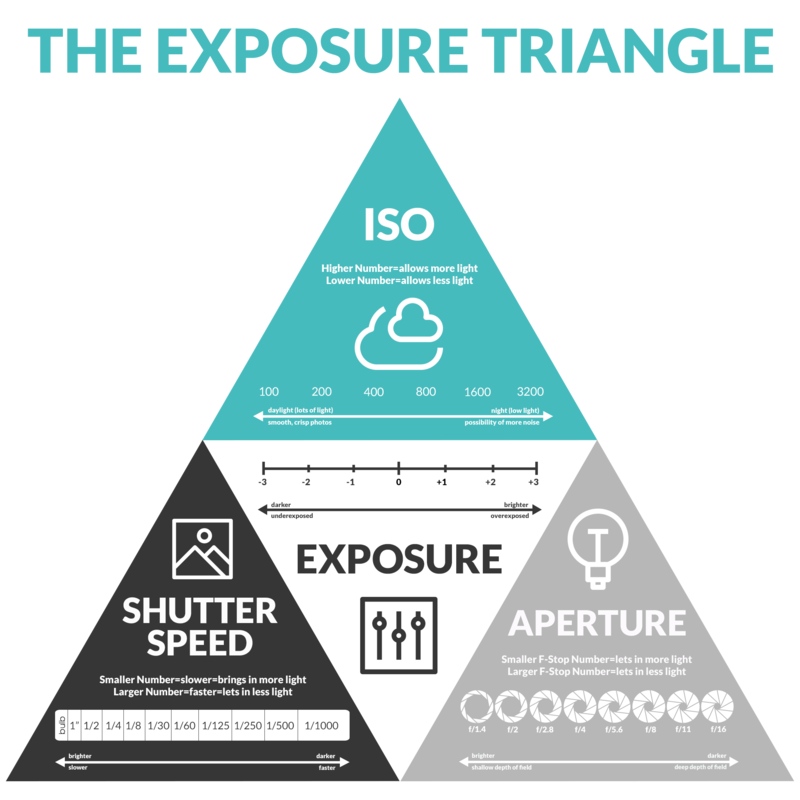 There are three things that affect the exposure. 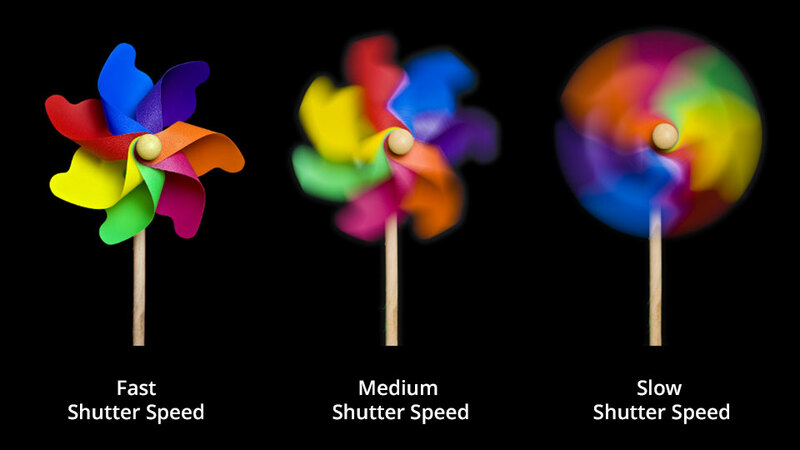 It consists of Shutter speed, Aperture, and ISO. 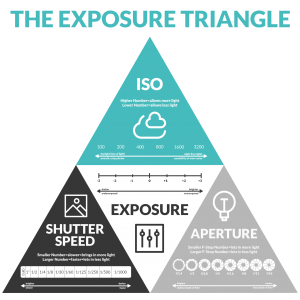 Below is the picture of triangle exposure which allow you to understand how they affect the exposure. Aperture is the size of len allowing the light to enter. It affect the depth in field(bluring) Just to keep in mind that the small the number is the bigger the size of len. The wider the temperature is the blurer it is. The wide aperture (i.e f/1.8) has shallow depth in field which mean it is good if you want to take picture of a subject with blurring background.Narrow aperture (i.e. f/11) has a deep depth of field it is good for landscapes/scenery. ISO is how sensitive your camera to light. 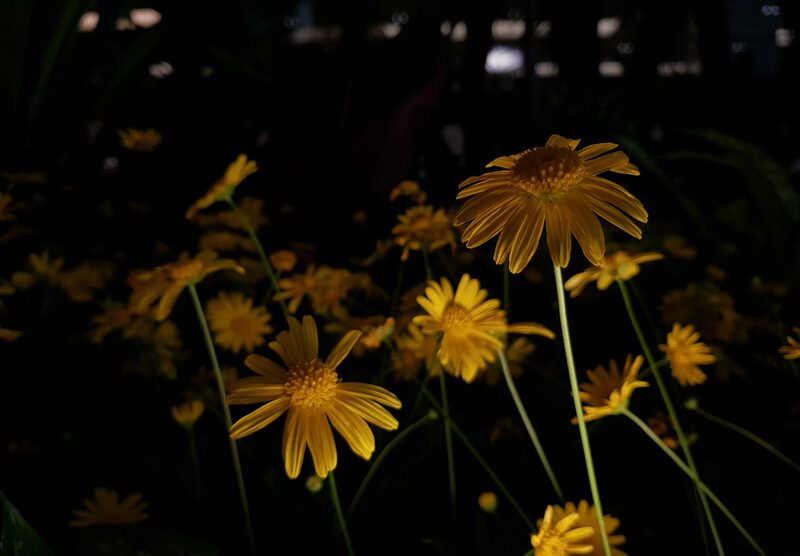 It can also represent how dark and bright is your photo too. 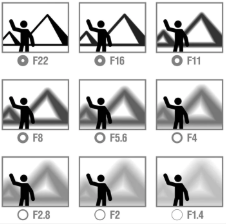 If you increase ISO your photo will be bright and your Shutter will also increase. One of the advantage of increasing ISO is they create noise color. Noise color are small dots of color in your photo. It is best to keep ISO low only increase when aperture and shutter speed adjustments are not enough. 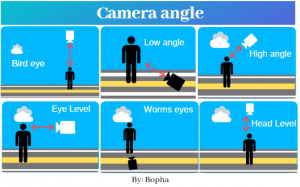 Lastly, We also studied some types of camera shots such as fong shot, full shot, medium shot, close-up, extreme close-up, low angles, high angles, eye level, dutch-angle/tilt, over the shoulder and birds eye view. A very interesting type of photo created by shutter speed is Light Painting. If you want to do the light painting photo you will need to adjust your Shutter speed to be very long to permit the light in. These are some example of the photo you can also give feedback for the photo you like the most. THANK YOU! Since I was born, I lived in Kampong Cham province. It is one among other provinces that have Mekong river crossing. We have three big market that is very busy. If you cross the big nearby market, You would have the possibility of smelling the trash from the food. On the road, There isn’t a lot of trash as much as the trash in Phnom Penh city. Sources in my community of pollution exist from the vehicles. Near the Kizuna bridge in my community is not badly affected. As the matter of fact, Cambodian usually use this bridge to cross to another province, the highway on the bridge and near the bridge is kinda busy. Due to my observation, I can see that the people who are affected by pollution live near the busy near the big markets or busy high. There used to be a lot of trash in the province due to the big celebration. The provincial chief has worked on it by collaborating with the students or other people to pick up trash in kampong cham city. In general, To secure environmental justice in my community people should use less vehicle to reduce pollution. If they are traveling in the province they may use bikes instead. As a matter, bike or walking can reduce noise pollution and air pollution. It would also help saving space for the road from parking the vehicles. 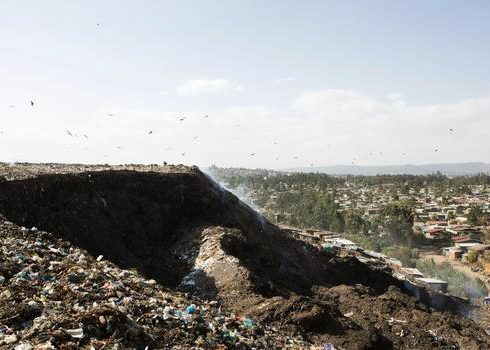 Another research is about impacts and injustice or living near the filthy waste dump. There were four countries to do research such as India, Philipines, Ethiopia, and Kenya. I choose Ethiopia to be the countries to write the paragraph and answer question to think openly about the impacts. 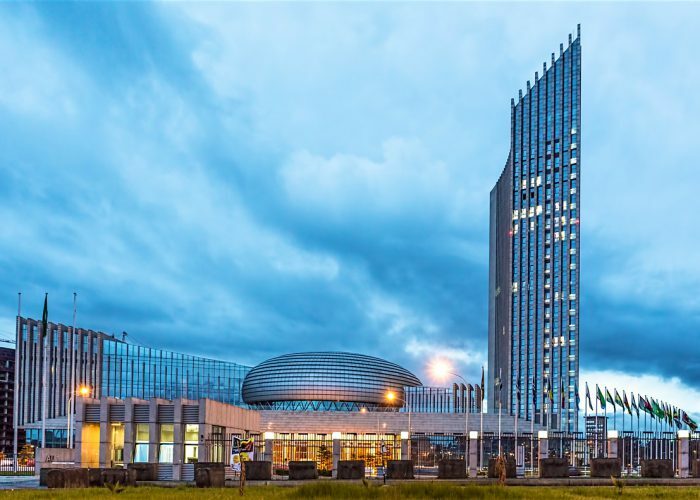 Ethiopia is part of the continent of Africa with a population of 105 million. Trash dumps are everywhere in the city and outside the city. Some are buried over 50 years ago. the recent year 2017, A tall massive trash dump, has collapsed and killed at least 114 people. Some of them are still Buried under the ground and the new became a world tragedy. It is so horrible and ridiculous for the people to be killed by trash. According to world economic forum news, 1,400 tons of trash is wasted every. 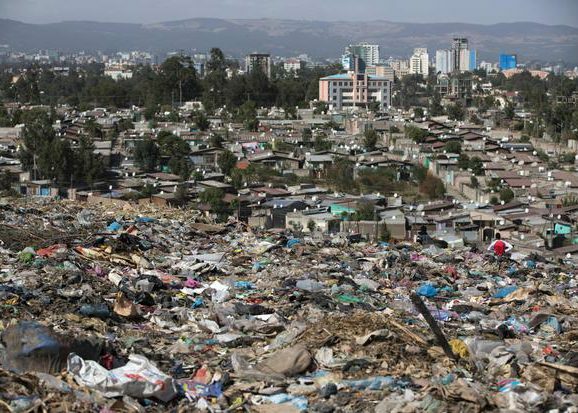 A big waste management in Ethiopia is turning trash to cash. By burning it down into power. In the community, there will be a tank and when it fills the government will empty it out. The dumped of landfills has affected the nearby river, create methane and greenhouse gases. A project is started by Alemayehu with Chinese ivy partner CNEEC join the revolution of turning waste to energy. This energy plant is designed to solve waste problems. According to CNN news, They are burning 1.4 million kilograms of waste each day that light up 30 percents of the household. There are also landfill communities with massive trash mountain. That is not manipulating really well. It causes death over the past years. Koshe dump mean “Dirty” it is the biggest trash dump that people live there. Etymology is the study of the history of language and where it is from. One the first round of literacy, We’ve been focusing on this splendid lesson with excitement. 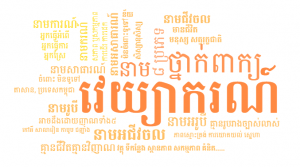 As an English Learner, we’ve been trying hard to know and understand more about this language. The English language is from Latin and Greek and most of them are created in Church. There were so many articles that we read such as day’s name, black death, dog, Exhibition of work. 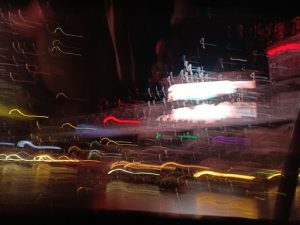 All of the articles are related to how Language change over time. One example for the exhibitions is that it is the collection of his work that has written and made a big impact on English. His accomplishments are play and more. Moreover, the purpose of this round lesson is learning new vocabulary and the root word. Our teacher would us a home packet that contains 10 vocabularies and some exercise with word on Monday every week. There were also a lot of interesting articles I’ve read about in this round. I’ve read about the silence GIF that people can hear the sound. The GIF contains the movement of voltage electricity that jumps over a rope and the picture shake. The scientist discovers and finds out that many people heard the sound when they look in the gif. As I sometimes also hear the GIF I think that people heard the sound because when voltage electricity jump and touch the group it will shake. It creates the sound from the brain because people see things falling and has the sound in their daily life.